In a world of competing voices that call to us and compete for our attention at all hours, attending a Hopework retreat is a bit like leaving home to build an island of decency with others. A Hopework retreat is a space apart from everyday life in which participants slow down, and reflect on and have conversations on things that matter. In these conversations, every participant has an equal voice. We attend to being present to others in our listening and holding fast to what is good in our lives. We carry home the lessons remembered and learned. Hopework facilitators invite participants to use processes that help a group explore complex topics by asking participants to share from the head and the heart stories of their personal experience and perspective. The stories told and heard unfold around the circle, side-by-side without challenge or debate, and stimulate us to see with fresh eyes, experience new hope, and imagine bold action for being more ourselves in the world. Hopework LLC develops and delivers educational retreats and workshops designed to nurture human development, create meaningful lives, and contribute to a more humane, just, and equitable world. 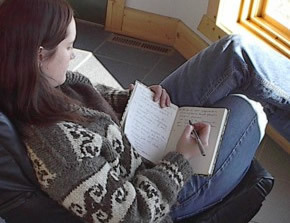 Contact Hopework if you are interested in discussing an idea for a Minnesota Hopework retreat. Codi, here’s what I’ve decided: the very least you can do in your life is to figure out what you hope for. And the most you can do is live inside that hope. Not admire it from a distance but live right inside it, under its roof. From Barbara Kingsolver’s book Animal Dreams (New York, HarperCollins, 1990), p. 299.